James Goucher is an actor, known for Wicked Spring (2002), Triggers: Weapons That Changed the World (2011) and Washington: Man and Myth (1999). 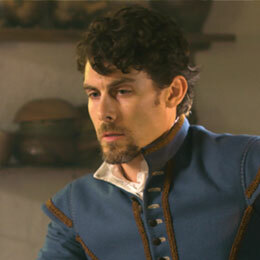 John Hilowitz is an actor based in central VA. He has several years’ experience in improvisational theater, performing and training with Comedy Sportz Richmond and the Coalition Theater, where he performs regularly. He has worked on several films and television productions including Bill O’Reilly’s Legends & Lies, and AMC’s TURN: Washington's Spies. Samantha McCarty was born and raised in Huntington Beach, California but recently moved to Williamsburg, Virginia with her husband Michael. She has always loved history, especially historical clothing, which led to her current position as tailor for the Jamestown-Yorktown Foundation. She also enjoys singing, dancing, and acting, and had her first starring role in her church’s production of the Christmas opera “Amahl and the Night Visitors” at age nine. Samantha can most often be found sewing or researching historical clothing. 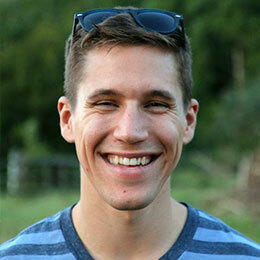 John Wilkins III discovered acting in 2012, redirecting his focus from a successful career in business development. He has performed in numerous screen productions, most recently anchoring the RVA feature film, Sure Thing, as well as a principal role in the Netflix feature, Burning Sands. A natural talent, John began formal training in 2014 at The Actor’s Place in Virginia Beach, studying Meisner Technique and performing advanced scene work. He constantly studies, refines and seeks to elevate both the show and business sides of his craft. When not on set, John globe-trots, insatiably consumes podcasts and Netflix-curated documentaries, dines at Chick-fil-a a bit too often, and sneaks his girlfriend's 4 lb. Maltese, Lexi, into every establishment possible. Up next: A supporting role in the third season of Legends & Lies, airing on the FOX Network, and a move to Atlanta, GA, where John is now based. 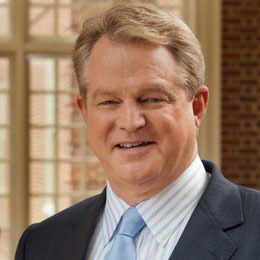 Gordon Robertson serves as executive producer and co-host of The 700 Club and 700 Club Interactive, which airs on ABC Family. He is also the executive producer of CBN’s Emmy-nominated Superbook series, which utilizes state-of-the-art animation to bring the stories of the Bible to the children of the world. In recent years, Gordon has traveled the world as executive producer and host of documentaries about history and biblical archaeology. Under his guidance, one of these documentaries, Made in Israel, was nominated for three Emmy Awards in 2014. A graduate of Yale University, Gordon went on to earn a Juris Doctor degree from Washington and Lee University. For ten years, he practiced law in the Norfolk, Virginia area. Amy earned an M.A. in Journalism from Regent University and started her career in broadcasting at New Dominion Pictures, where she worked as a researcher for the true crime documentary The New Detectives: Case Studies in Forensic Science. For the past 12 years, she has worked as a features producer for The 700 Club, also contributing to CBN documentary projects such as The Quest for God and The Hope: the Rebirth of Israel. After earning a B.A. in Cinema-Television from Regent University, Jarrod has spent the last 3 years working for the 700 Club as a Features Producer, focusing on telling stories that require ambitious re-enactments. He is an award-winning director with numerous films to his name and a passion for storytelling. Jarrod is currently at Regent University getting his M.F.A. in directing. Tyler is the Director of Photography for the Pocahontas Documentary. After graduating from Regent University with a bachelor’s in Cinema Television, he was hired as a full-time videographer and editor at CBN. 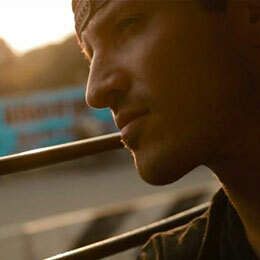 He is an award-winning cinematographer on numerous short films. His passion for aesthetics and film started with photography during high school. Tyler has traveled stateside and overseas on several passion projects to include narrative stories and documentary work covering evangelism and missions. William H. Ellison started his broadcasting career as a radio announcer at WLUX-AM in Baton Rouge, Louisiana. After three years on the air at four different local stations, William made the move to television at WLPB in Baton Rouge, where he worked as an on-air switcher, transmitter engineer, and master control supervisor. 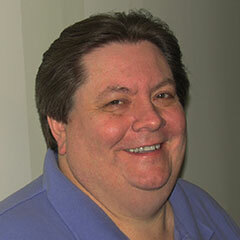 In 1989, William joined the staff at CBN, where he has worked as an editor for the past 26 years. Since 2008, William has been the chief editor for CBN's documentary team, and in 2014 he was nominated for a Daytime Emmy Award for Outstanding Single Camera Editing for the documentary Made in Israel. He also makes a mean gumbo. A proud member of the Pamunkey Indian tribe, Kenneth Bradby, Jr. was a published author, an historian and an avid musician. 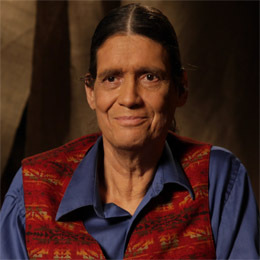 His book, Pamunkey Speaks: Native Perspectives is a collection of oral histories and photos from members of the tribe, past and present. Kenneth passed away in August of 2016, but his kindness, sense of humor and generosity of spirit will always be remembered by those blessed enough to call him friend. 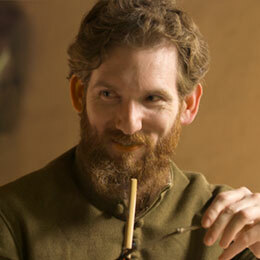 A native of Philadelphia, Paul A. Levengood received his Ph.D. in history from Rice University in 1999. After receiving his doctorate, he began working for the Virginia Historical Society (or VHS), an institution that sponsors lectures, publications, conferences and exhibitions to encourage a better understanding of Virginia history. 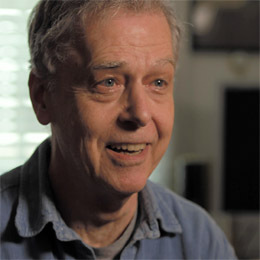 In his early years at the VHS, Levengood served as the associate editor and then manager of the Virginia Magazine of History and Biography. 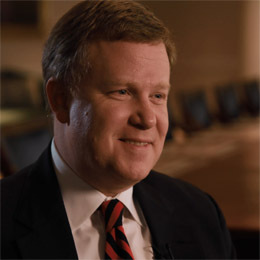 In 2008, Dr. Levengood was elected president and CEO of the Virginia Historical Society. He recently resigned his post to take a yearlong sabbatical to devote more of his time to his research and study of history. In 1984, as a result of a longstanding interest in things historical, Terry began portraying a soldier of the third crusade; within a year he updated to late Elizabethan portrayal. He founded Black Rose Creations in 1989 to produce accurate, durable and inexpensive items for use in this time frame. In 1999, he co-founded the Kingdom of Lucerne, Inc. a New Jersey non-profit educational group, which provides an umbrella organization for groups with an interest in accurate re-creation of the period and provides college scholarships. After twenty-five years as a military police officer, he retired in 2006 and began working as an interpreter at the Jamestown-Yorktown Foundation. 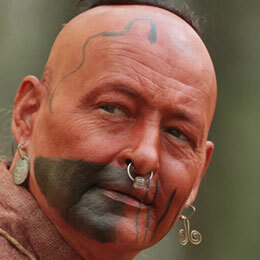 He held the position for two years before being hired by Henricus Historical Park as the Trades specialist in 2008. As an interpreter at Henricus, he serves over thirty thousand school children each year in addition to general visitation. Since joining Henricus, he has concentrated on researching the original location of the Citie of Henricus and, as an offshoot, the life and background of Alexander Whitaker. A professor of English and lecturer at University College of London, Dr. Rennie is the author of several books and an avid researcher. 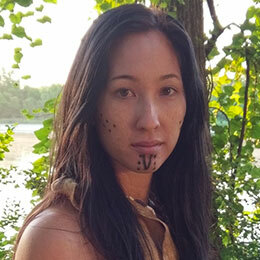 His book, Pocahontas Little Wanton: Myth, Life and Afterlife, explores the life and legend of Pocahontas. 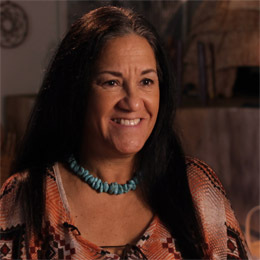 G. Anne Nelson Richardson was elected chief of the Rappahannock tribe in 1998, and succeeded her father, Chief Captain O. Nelson. 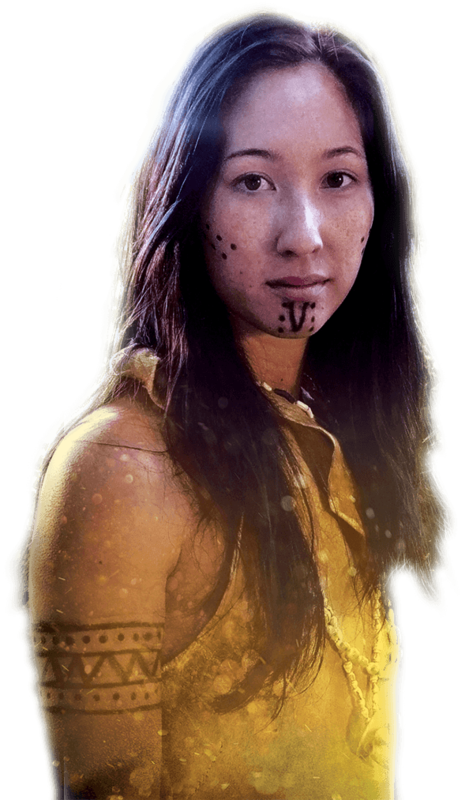 She is the first woman since 1705 to serve as Rappahannock chief among the Powhatan tribes of Virginia and is a 4th generation chief in her family. In 1980, she was elected assistant chief to her father and served in that position for 18 years. During that time, she worked to help the Rappahannock win official state recognition. Chief Anne grew up steeped in Virginia history. In the 1950’s, when the park at Jamestown was being constructed, her parents were hired to set up the Indian village and furnish it with traditional wares. Years later, in 2006, Chief Anne and other Virginia natives were invited to visit England to commemorate the anniversary of the founding of the first permanent English settlement in America at Jamestown. 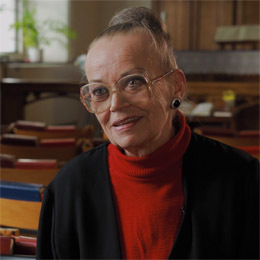 Later that same year she launched Restoring Nations International, a ministry whose mission is “to restore honor and human dignity by facilitating reconciliation and bringing healing to Native American and other indigenous nations around the world through ministering God's love, purpose and destiny for those nations.” An ordained minister, she has worked diligently for cultural, economic and social revitalization of indigenous people. 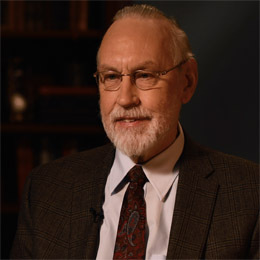 Former professor of the history and theology of missions at Asbury Theological Seminary, Dr. Snyder studied Historical Theology at the University of Notre Dame. He has taught and pastored in Sao Paulo, Brazil; Detroit, Michigan; and Chicago, Illinois. 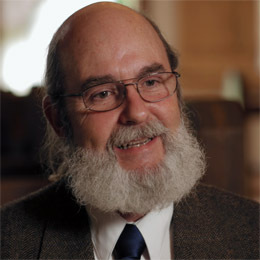 In addition to Jesus and Pocahontas: Gospel, Mission and National Myth, Dr. Snyder has also authored and edited more than a dozen books and served as professor of Wesley Studies at Tyndale Seminary in Toronto, Ontario from 2007 to 2012. 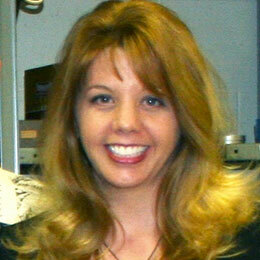 Dr. Snyder now serves as visiting director to the Manchester Wesley Research Centre in Manchester, England. The church historian for St. George’s church, Gravesend, Sandra has also served as secretary for the Gravesend Historical Society since 1996. Sandra’s family has lived in the Gravesend area since the early 1800’s and she has attended St. George’s all her life.